Ishmael Toffee has just been released from Pollsmoor prison after serving twenty years for multiple murders, both outside and inside its walls. Having lost the urge to kill and discovered gardening it’s felt that he no longer poses a threat to society, but is at high risk of being murdered if he continues to serve time. Paroled, he returns The Flats, the massive ramshackle shanty at the edge of Cape Town and starts work a gardener in a rich, white household. The father is standoffish and the maid has no time for him. The young daughter though is fascinated by his gang tattoos. They quickly form an awkward friendship, then the child asks for help. She is being sexually abused by the father, hence the suicide of her mother a few months previously. Ishmael knows that by helping her is asking for serious trouble, but he also can’t leave her to fend for herself. 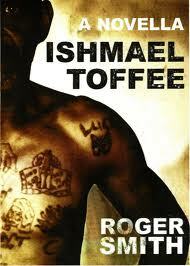 Roger Smith’s stories always pack a powerful punch and so it is with Ishmael Toffee, a novella set in Cape Town, South Africa. The plot is quite linear and has a certain inevitability of outcome, but that matters little. Smith writes with a visceral urgency, every sentence propelling the story forward. The story immediately hooks the reader in and drags them on an emotive ride as Ishmael, with his bloody, remorseless past, is re-cast as an anti-hero, who for the first time in his life is looking out for more than just himself. The characterisation and contextualisation is excellent and the story harrowing but compelling. 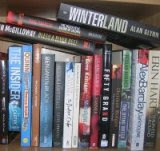 Overall, a quick but gripping read.